Good Morning TMS friends! Thank you all so much for joining us this week. You all created some beautiful cards! Thank you so much for sharing you creativity with us. Congratulations Linda! Please email us at tuesdaymorningsketches at gmail dot com and please enter "Winner TMS #378 All Dressed Up" in the subject box. We'll see you tomorrow with another great sketch and our sponsor is DRS Designs. Have a great Monday! Thank you Patti for choosing my card as your favourite. 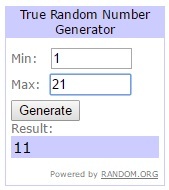 Congrats to the others selected and to the random winner too. Thanks so much, just sent you an email!